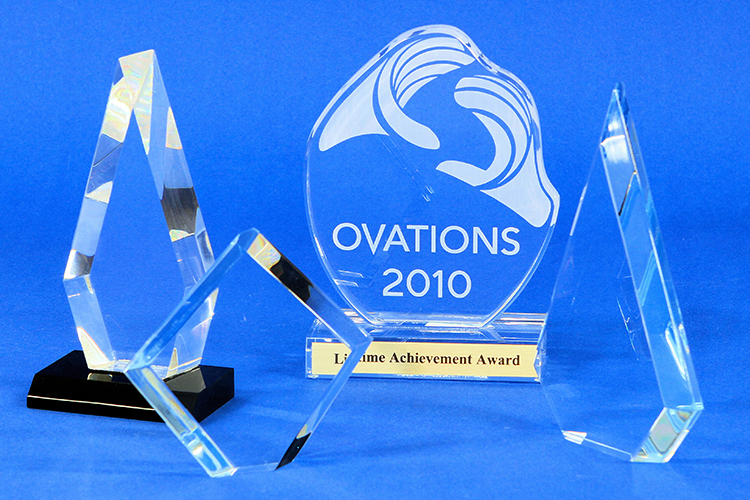 Kara Kreations is a professional plastic fabrication and laser cutting facility specializing in award-winning display cases, POS displays, trade show exhibits and more. From commercial contracts to personal projects, we provide full-service customization with precision and quality craftsmanship. Contact us to discuss your project, today! We specialize in state of the art, hand-crafted POS/POP displays. From countertop to floor pieces, and from secured product enclosures to grab'n'go displays. Add your custom messaging to any display. Call today for a quote. We meet your specs! Our laser cutting capabilities ensure a precise and pristine products. Add a finishing touch with laser engraving. Showcase your prize collectible in only the highest of quality display cases. Your memorabilia deserves a fitting home that will stay secure and look spectacular. It doesn't end with acrylic... We specialize in wood displays as well as many other materials. Don't see what you're looking for here? Contact us about your needs today! Our 8,000 sq. ft. design and manufacturing site practices state-of-the-art fabrication techniques and technologies. Stop by the showroom to browse our showcase of custom acrylic cases, POS displays and more. Or shop our retail store for DIY supplies and replacement materials for home or business use.